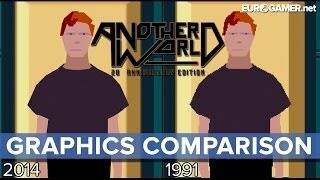 Another World: 20th Anniversary Edition - Graphics Comparison - Eurogamer. Как пройти игру? Comparing the opening cutscene of Eric Chahi's classic with the new and improved 2014 version! This gameplay was captured on the PS4.